In November 2011 I successfully completed my first NaNoWriMo competition – writing 50,000 words in one month. As I type this article it is the first day of the August 2012 Camp NaNoWriMo – a paired down version of the original with the same goal of 50K. It is daunting to look at the wave of words to come and to wonder where on Earth they will come from. Well, they do come, which is surprising and terrifying at the same time! One of the powerful insights gleaned from the experience that I carry with me today is just how important your physical space is that you write in. At the time of NaNo 2011 I had recently started working from home and was sharing my husband’s home office. Over the months that followed NaNo it became painfully obvious that my physical space was not supporting me to continue writing and being productive. And maybe this story is yours as well – finding a space to sit when you need to, moving your stuff around, packing and unpacking a laptop. This nomadic approach to writing has the effect of not building your intent for the work to come in one place. I often observed in my days of facilitating courses for MetaVarsity that when students came to a classroom they would easily slip into learning mode because that was the intention of the space they were in. On a few occasions when we moved class to someone’s home, no matter how quiet and undisturbed, it was next to impossible to get everyone to focus on a learning process. The same is true of your writing space. It doesn’t even have to be a set space – it just has to be a place that you have spent enough time writing in so that the space holds you. In my latter teen years we owned a family-restaurant and because I spent so much time there it became easy to read and study there – I learnt how to shut out the noise and movement. Now coffee shops are an excellent writing place for me because I have been trained on how to make that space work for me. 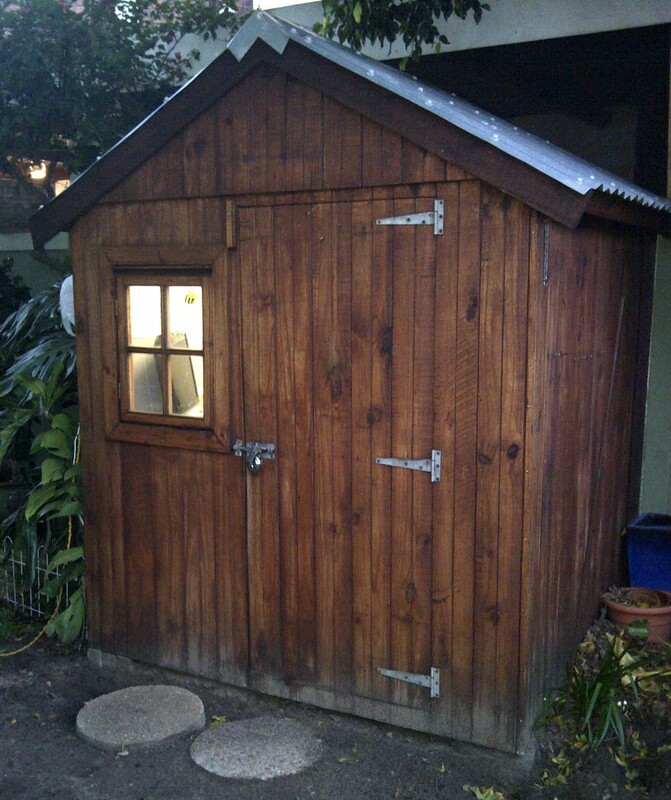 Where the magic happens….my writing shack! You can check out Roald Dahl’s shack and see where he wrote his amazing books. There are many other authors who have also had their private writing sanctuaries. Now that I have spent quite a few months writing in my shack it is amazing how much I love this little space and how well it works for me. This was a creative solution that literally added another room onto our house, and I am sure that there is a way to make your space work for you. It is just about being open to finding a way of doing it differently. George Bernard Shaw’s writing shack that he named “London” so his staff would not be lying when they said he had “gone to London.” Brilliant! Where is your writing space? What are the challenges of this space? What are the creative solutions you have devised to claim your writing space? Next Where does this ballroom take you? What is agility? And why am I in my car?